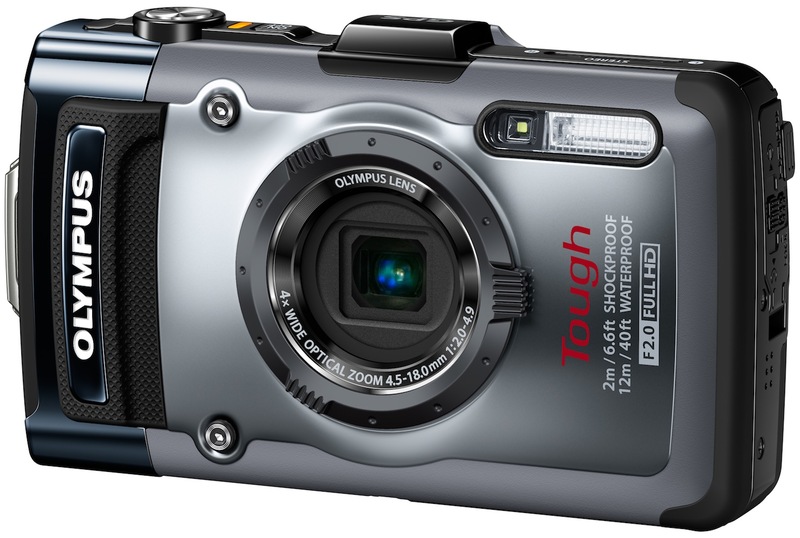 The Olympus Tough TG-1 iHS is the new leading "lifeproof" camera on the market (as of 9/2012). It's upgraded image processor, sensor, lens and abilities perform as well if not better than you will find anywhere else. Read more in our Full Conclusion. Olympus' Tough series of lifeproof cameras has a new flagship for 2012, the TG-1 iHS. Not only is it the world's first lifeproof camera to incorporate an ultra-bright, high-speed f2.0 lens (as of April 23, 2012), but you're also going to get a 12-megapixel backlit CMOS sensor powered by Olympus' proprietary TruePic VI image processor. All of this means a super fast camera capable of taking incredibly detailed and life-like photographs. Speaking of fast, the TG-1 includes Olympus' FAST AF system technology, ripped right out of their more expensive PEN series cameras. No matter the extreme action, you'll always get razor-sharp shots. The CMOS / TruePic VI combination also means you get to shoot full high definition 1080p video as well in as two different high-speed burst modes for stills: 1) 10 frames-per-second at full 12-megapxiel resolution, or 2) 60 frames-per-second at 3-megapixels. The TG-1 has a built-in 4x optical zoom (as well as a 10x "Super-resolution Zoom" -- but we don't normally push using digital zoom features); but here's something fun for the Tough series: an optional converter ring adapter will allow you to attach a waterproof Fisheye Converter Lens for wide panoramas, or a Teleconverter Lens that extends optical zoom to 6.8x. Another nice feature is the various iAuto Modes, where the camera automatically choses the best option from 30 presets. Or you can choose one yourself individually. The camera even has 4 modes specifically designed to enhance underwater photography and video recordings. A must-have for all adventurers is GPS. You know, just in case you want to get lost, or perhaps you want to recall where exactly on the globe your memories were captured digitally. The TG-1 also has a built-in Manometer, which will not only records elevation and depth information in your photo's metadata, but also warn you if you're approaching the 40-foot underwater depth threshold; a first for any lifeproof camera we've sen, and some that could come in real handy for divers. All of these features and more for a camera that's waterproof down to 40 feet, shockproof up to a 6.6 foot fall, freezeproof down to 14F, and crushproof up to a weight of 220pounds. But, if those stats aren't tough enough, consider adding the optional underwater housing, which extends the depth rating down to 135 feet! The Olympus TG-1 iHS is available now with an MSRP of $369.99 USD. The camera comes in any color you want as long as that's silver. See our buy box for the most current online pricing, and don't forget to check out the optional accessories like the conversion lenses.